Longreach is an adult acute mental health facility. 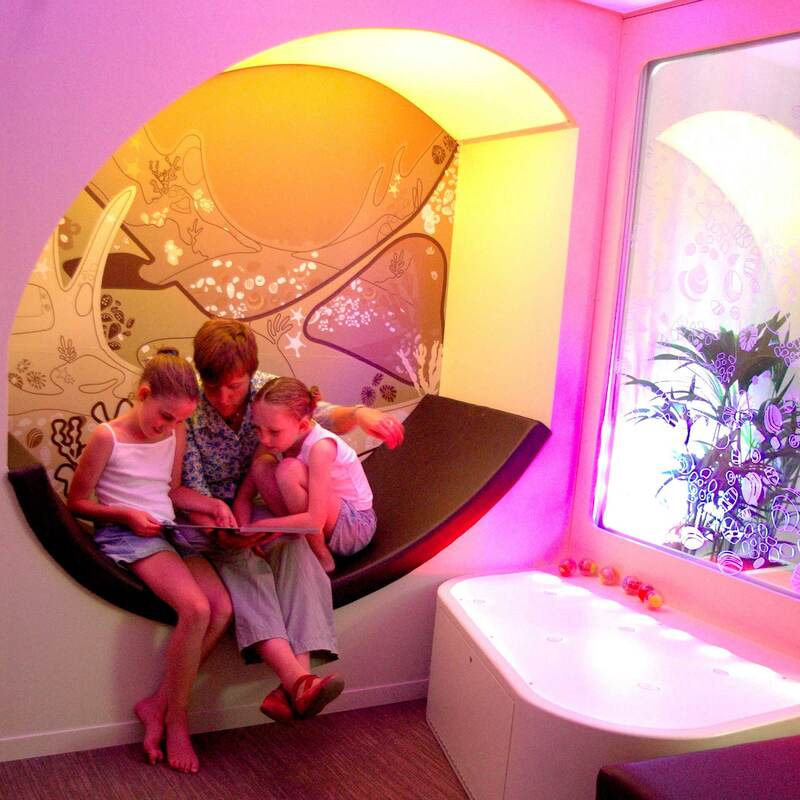 Although children are not admitted as patients, they are often visitors of a loved one and needed a dedicated space to spend family time. 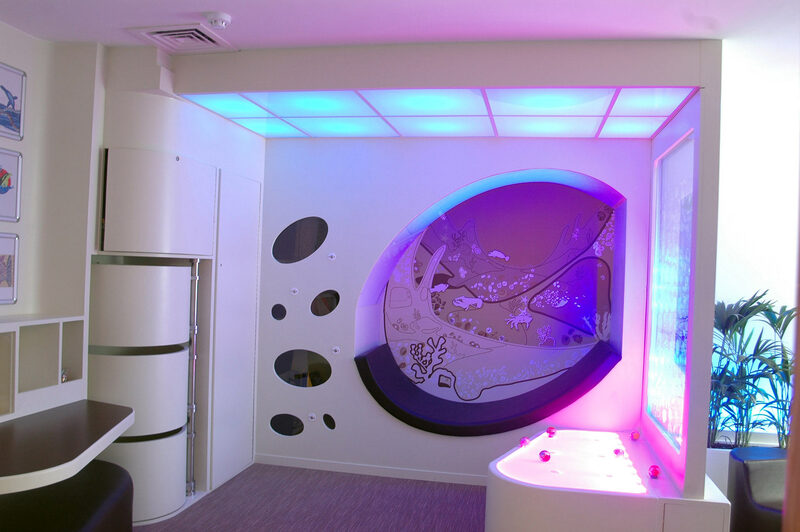 In a challenging environment, it is important to provide a calming, engaging and safe atmosphere for younger visitors and patients alike. 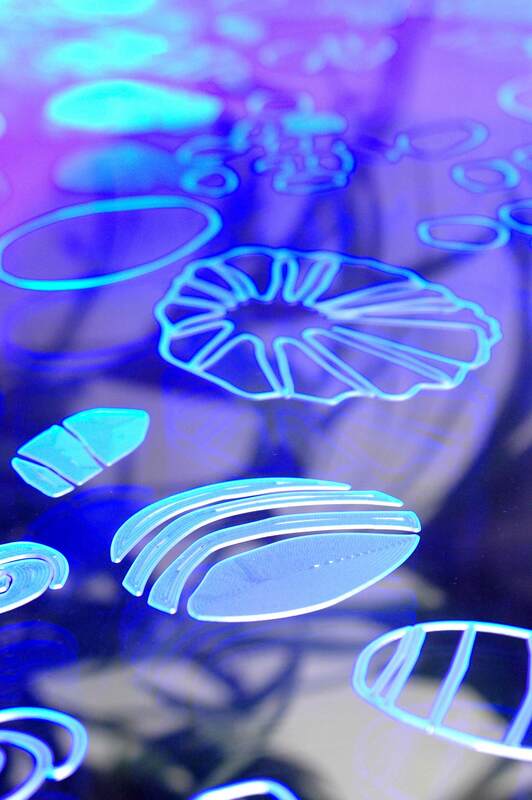 Firstly, we modelled the space to understand the layout and the movement of people through it. This helped us place seating and storage most efficiently. We decided that it was important to subdivide the room, to offer some privacy if more than one family needed to use it at a time. 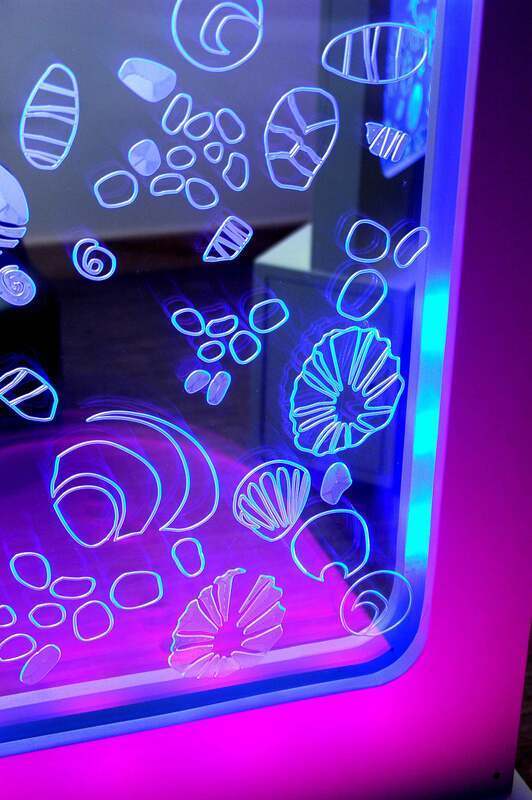 To enable this, and maximise the space and light, we used lit acrylic screens depicting sea creatures, planting and relaxing lighting to define the areas. Inclusion of an interactive table, flexible and unusual seating and plenty of storage for toys means there are lots of entertaining distractions for younger visitors. The overall theme is naturalistic seaside to reflect the local area, and tidal screens were designed to correlate with local ebb and fall of the tide. 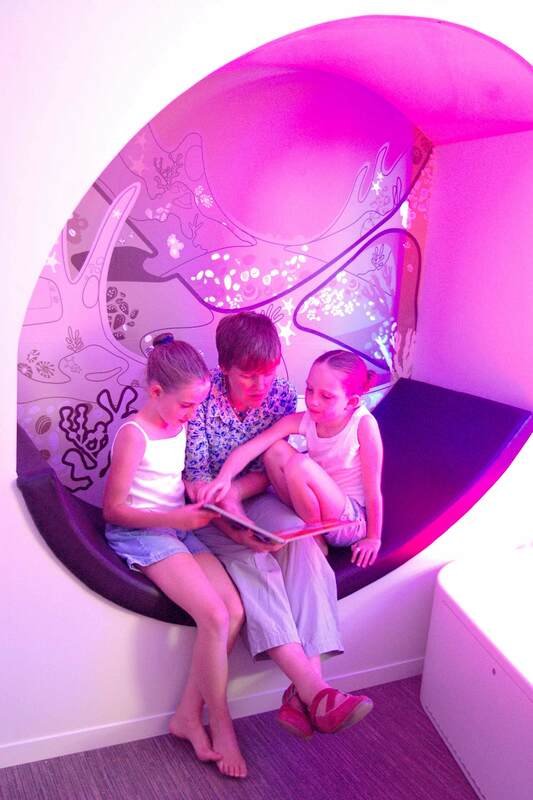 “The team’s chosen designers have created an imaginative, inviting room, with activities for children of all ages. 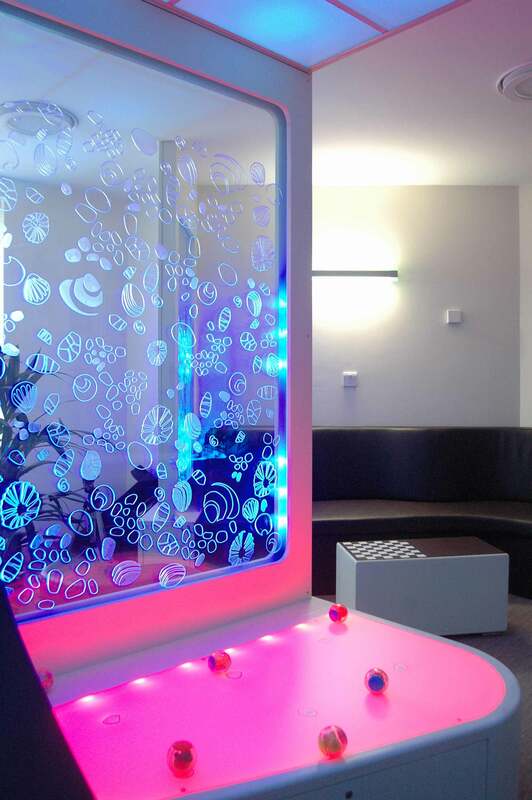 The refurbishment of the area has been appreciated by both service users and staff. 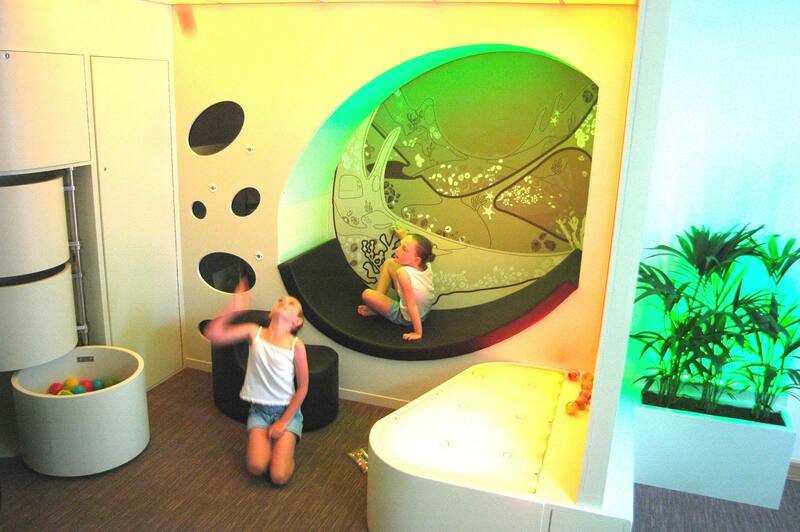 Since completion the visiting room is being actively used by children. 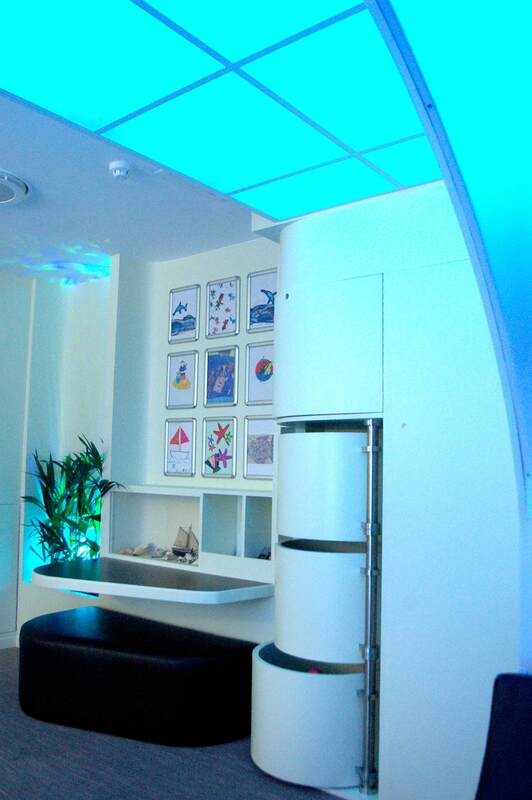 The atmosphere is very relaxed and laughter often heard.” The King’s Fund – Enhancing Healing Environments project review.